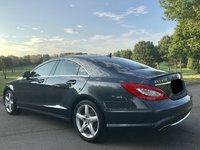 CarGurus has 22,533 nationwide E-Class listings starting at $1,500. Eventually, you have to question the action if not the intention of companies like Mercedes-Benz when they come out with another supposedly ecological trim—especially when said trim doesn’t even best those already in the lineup. Such is the situation with the 2013 Mercedes E-Class, which adds a hybrid E400 version to its stable of E350, E550 and E63 AMG in coupe, sedan, wagon and convertible styles. Here they’ll pair a direct-injection 3.5-liter V6 with an electric motor powered by lithium-ion batteries. This adds up to an EPA-estimated 24 mpg city/31 highway that about breaks even with the currently available E350 Bluetec diesel, which offers 22/33 mpg. It’s not cheap to develop a new model, let alone distribute it around the world, and let’s not even get into the debate regarding how much better it is to keep a car running than to buy a new “more efficient” model. When a manufacturer can’t even best its own best, the logic goes right out the window. But the E-Class is about providing exactly what you want, exactly how you want it. That’s why it comes in so many different flavors and styles. 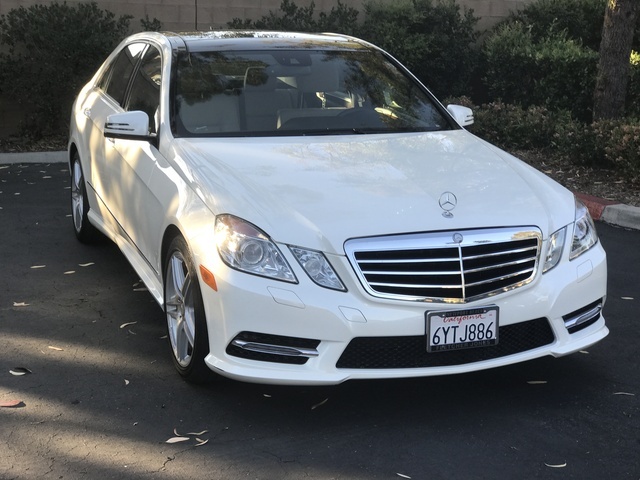 Of course not every version is available in every style, but E350s come however you want, and they do a lot of the heavy lifting with regard to sales. Powered by a direct-injection 3.5-liter V6, the E350 offers 302 hp and 273 lb-ft of torque from its high-compression engine, along with an EPA-estimated 20 mpg city/30 highway in RWD sedan configuration. The numbers fudge a bit this way and that depending on whether you go coupe, wagon or convertible and especially if you go 4MATIC, but the variations are subtle. There’s a big jump when you move into E550 sedan territory, however, caused in equal parts by ubiquitous AWD and a bi-turbo, 4.6-liter V8. That engine's 402 horses and 443 lb-ft of torque demand a penalty at the pump, and here it comes as a return of 16/27. But you can get the E550 in coupe or convertible form as well, which will get you 1 more mpg around town thanks to RWD. If you don’t care about how much you’ll pay at the pump, the E63 AMG should do quite nicely with a 5.5-liter bi-turbo V8 churning out an astonishing 518 hp and 516 lb-ft of torque. This is another RWD-only application, although you’ll wish some of that power could be transferred up front when tires begin ripping rather than gripping the asphalt beneath you. Even with all that power, it still manages 16/24 mpg—a figure that would’ve been acceptable for any midsize sedan not too long ago. 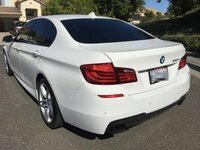 Sedans offer the additional option of Sport configuration, which gets you some unique looks and features. Beyond unique trim inside and out, you’ll also upgrade your ride with a sport suspension and 18-inch wheels. This is beyond the standard E-Class features like a 7-speed automatic transmission, 14-way power front seats, a power sunroof and multi-zone climate controls. There’s an in-dash 6-CD changer and the COMMAND infotainment system with a 7-inch display. A Premium Package will add a navigation system with Harman Kardon sound system, heated seats, a rear-view camera and Sirius satellite radio, while a second Premium Package adds bi-xenon headlights with adaptive highbeams, LED daytime running lights and a headlight washing system. So ignore the hybrid E400 and concentrate on one of the other E-Class offerings. The only way the manufacturers will ever learn is by us not rewarding their illogical behavior. 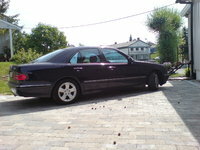 The E-Class needed no such adornments as a hybrid setup, especially since it can’t even supercede the current offerings. What's your take on the 2013 Mercedes-Benz E-Class? Users ranked 2013 Mercedes-Benz E-Class against other cars which they drove/owned. Each ranking was based on 9 categories. Here is the summary of top rankings. 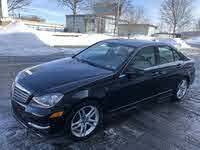 Have you driven a 2013 Mercedes-Benz E-Class? See attached ads for the same car, accessed the same hour, but 2 people getting 2 different market values, one 98 above MV and one 483 above market value.